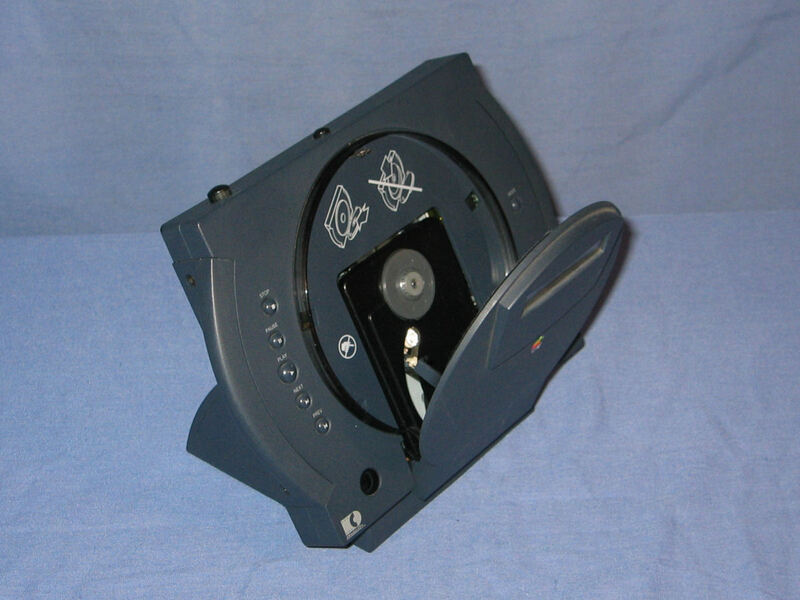 "The Apple PowerCD was designed in 1993 by Apple's Design Group, 'Mac-like Things'. 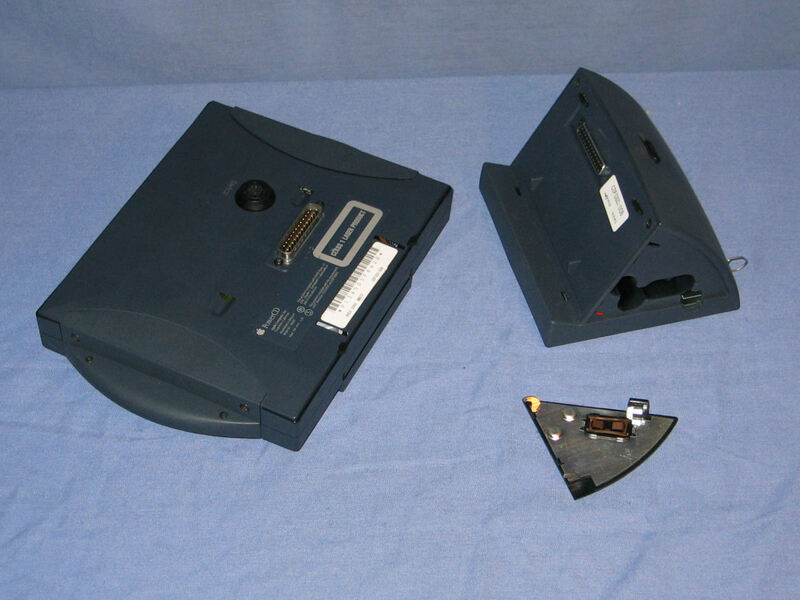 It is a stand-alone music CD (which I use it for and it sounds great), it is a SCSI CD-ROM drive and a PhotoCD (Kodak) that you link to the TV. Very very expensive in their day they caught on as a portable CD for Apple laptops as they can be operated by batteries and AC." 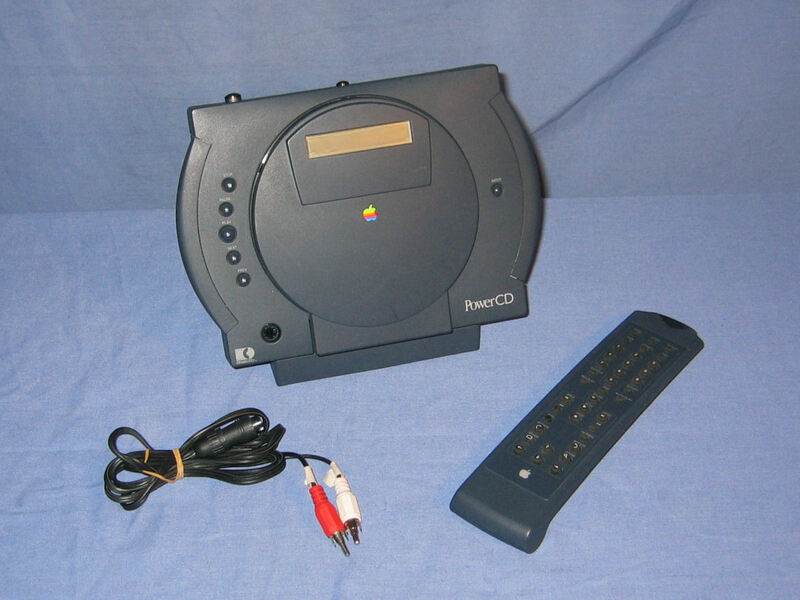 A PowerCD unit, remote control and the video/audio cable that is used when playing photo CDs. The CD tray open. 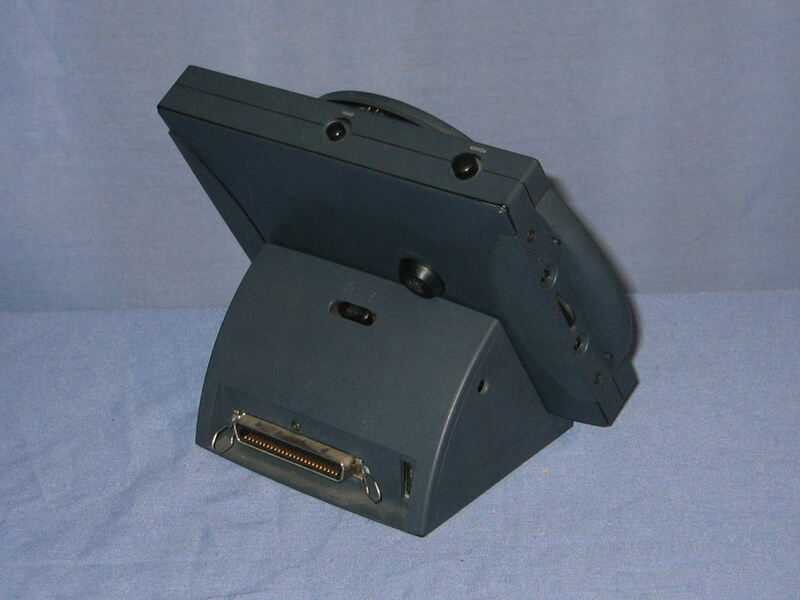 The front face of the unit contains a standard set of CD controls and a mode button. The top features the power switch and the door release. The rear of the unit. On the side of the unit are the volume control, a line out and a headphone out. 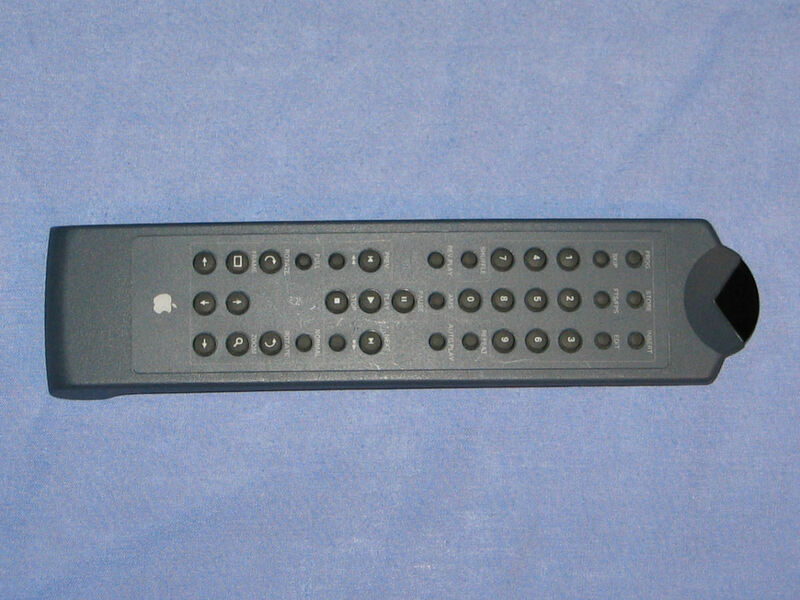 The base features a SCSI connector at the rear and the power connector on the side. The wedge shaped base separates from the main unit and also contains the battery bay.